You can't make Westerns anymore, it seems; you can only make 'Westerns'. Once one of the most popular genres in American filmmaking, one that gave birth to iconic stars like Clint Eastwood and John Wayne, the Western is in the midst of a decades-long deconstruction project, one that requires seemingly every new entry into the genre to comment on the tropes of the genre rather than forging a new path ahead. Slow West, the debut feature from writer/director John Maclean (of The Beta Band fame), is one such 'Western', overly concerned in the early running with setting up a loose, thoughtful digressions that never quite work as well as the movie's more traditional elements. Which is too bad, because when Slow West settles into just being a Western, it's a really goddamn fantastic film. 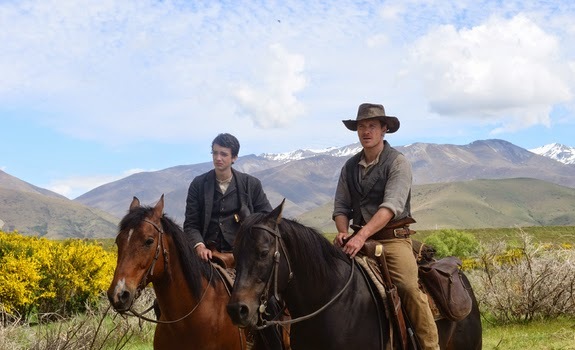 Slow West is, as I said, at its best when it's just being a Western. When Maclean gets cutesy, as with a shockingly clumsy framing device and a few dreamlike interludes, the movie grinds to a halt, and the jerky start robs it of crucial momentum in its opening half. But Maclean has a sharp ear for crisp, memorable dialogue and a talent for strong, interesting characters that keep the film engaging even when the story is dithering a bit. And Maclean has an immense and unpredictable talent for dark humor that brought out a handful of the biggest laughs of the festival thus far - only If You Don't, I Will got more laughs, and nothing on the level of Slow West's grim, unpredictable best - that makes even the movie's too-frequent slower stretches agreeable. And, without spoiling too much, I was pleasantly surprised by the film's gender dynamics. Slow West is, like a great many Westerns, dominated by men, as for the vast bulk of the film, the only major female character (Rose) exists only in the memories and fantasies of Smit-McPhee's character. But Maclean's tampering with Western traditions takes on some smart overtones as we learn more about Jay's relationship with Rose and his quest to reconnect with her. Westerns tend to be a fairly macho genre, but Slow West manages some tricky subversion that sheds new light on some of the film's drier early moments. Sometimes, the movie's desire to be clever interferes with the fact that it's actually incredibly smartly made, but Rose's story shines through consistently. While I have my issues with Slow West, this is a damn fine genre film overall. Maclean occasionally lets the movie get away from him and I wish the first two-thirds earned the movie's absolutely killer closing act, but... well, when you end as strong as Slow West does, it's easy to forgive a few missteps. This is an entertaining, assured debut, warts and all, and yet another strong argument for the resurgence of the Western. 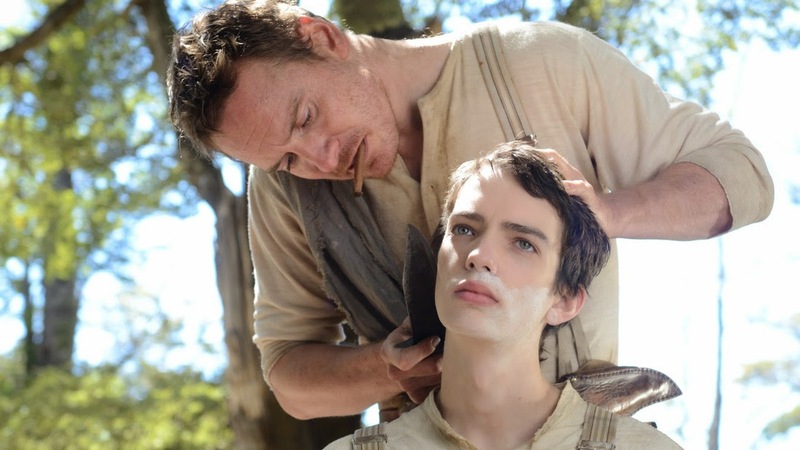 Slow West played recently at the 39th annual Cleveland International Film Festival after premiering at Sundance 2015. Written and directed by John Maclean, Slow West stars Kodi Smit-McPhee and Michael Fassbender.